When the Fujifilm X-T2 launched, it was more than just a simple upgrade to the already impressive X-T1, particularly in terms of autofocus and video. While the overall design of the new X-T3 has not been changed, it follows the same trick: representing a compelling step forward. The X-T3 brings with it an improved autofocus, video performance and a brand new sensor that makes it stand against the Panasonic’s GH5. It also takes the X-T series from being a very good stills camera to one of the best stills/video hybrids on the market. With its classic design, impressive photos and superb video, it’s the APS-C camera to beat. If the X-T2 brought the X-Series into the modern age, the X-T3 is targeting the future. It would be easy to say this camera a refinement, but in reality, it’s more than that. It seems like Fujifilm was experimenting on the X-T2, as if it was trying to prove that it had set a place in the world of high-tech photography. The X-T3 takes a much stronger stance. Of course, “better” doesn’t always signify “first.” The X-T3 clearly aims at another high-end APS-C camera: Sony’s A6500 introduced in 2016. For this reason, the X-T3’s time on top may not be long, but Fujifilm has set it up with tons of features that will ensure it stays competitive throughout this generation. It meets or beats the Sony’s A6500 at every turn except in-body image stabilization — and it takes advantage further from Fujifilm’s dedication to the APS-C format, with potentially the best APS-C-specific lens lineup of any manufacturer. Two key technology upgrades make the X-T3 a capable camera: the backside-illuminated, 26-megapixel X-TRANS CMOS 4 sensor and X Processor 4 image processor. These are designed for speed, with the sensor allowing 10-times faster readout than the earlier model and the processor being three-times faster than the X-Processor Pro installed in the X-T2, X-Pro2, and X-H1. That helps the X-T3 execute 11 frames per second (fps) with continuous autofocus, or up to 20 fps when you use the electronic shutter (or 30 fps with a 1.25x crop). While the X-T2 can also hit 11 fps, this is only possible when you are using the optional Vertical Power Booster grip. The X-T3 also has a grip but it merely increases battery life rather than adding performance. However, the new autofocus system can be the most noteworthy improvement, which puts 425 phase-detection points across 99-percent of the frame. It’s completed by rewritten eye and face-detection algorithms, and it basically makes the X-T3 capable of things that X-T2 could only dream of. 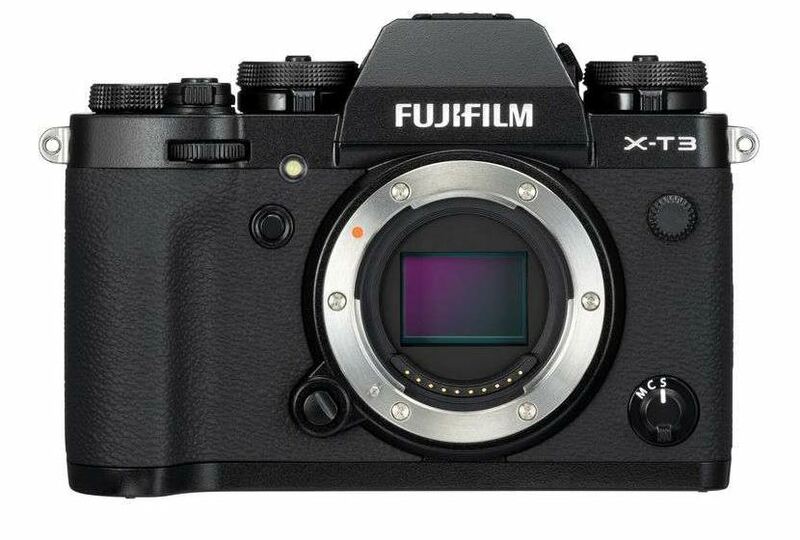 This entire state of the art tech is packaged into a very recognizable body, with very little to differentiate it from the X-T2 save the name badge. Some minor modifications have been made, such as adding resistance to the rear and front control dials to make it harder to rotate them accidentally. Implementation of a backside-illuminated (BSI) sensor from the Fujifilm is a noteworthy step as it is just the second BSI APS-C sensor since 2014’s Samsung NX1. However, the results that it produces don’t meet your expectations. BSI sensors run their circuitry behind the photosensitive layer; whereas other traditional sensors place it in front, thus block some light. BSI sensors leave more surface area exposed to increase light sensitivity. In theory, this makes them better in low light conditions — but it seems Fujifilm has tuned its sensor for low ISO performance. We have noticed that the X-T3 produces slightly more noise at high ISO settings than the X-T2. In part, this can be the result of the extra two megapixels, which means that the size of individual pixels is smaller. But the X-T3 also has a lower starting ISO of 160. It is 200 in the X-T2. We believe that that Fujifilm is trying to maximize the dynamic range and minimize the noise at high ISO. This is truly a good decision. Firstly, the noise difference doesn’t become noticeable until ISO reaches 3,200 or so. Secondly, it’s simply not that apparent except in a side-by-side comparison. And finally, even a modest amount of noise reduction eliminates the difference. In high-contrast scenes — let’s say landscapes with a bright sky and dark ground — the X-T3 RAW file holds up quite well after extreme highlight and shadow recovery. It successfully retains more details in the shadows with less noise and exhibits much better color and contrast, overall. We understand that after reading “BSI sensor” photographers immediately think of better low-light performance and they may feel a bit let down, but bear in mind, the X-T2 was already about as good as APS-C can get in terms of noise — and the X-T3 isn’t really efficiently any different. In our view, the usable ISO range is exactly the same in both, with the exception that the X-T3 gives you a lower starting point. Battery life of X-T3 is rated at 390 exposures. It’s a modest increase over the X-T2. 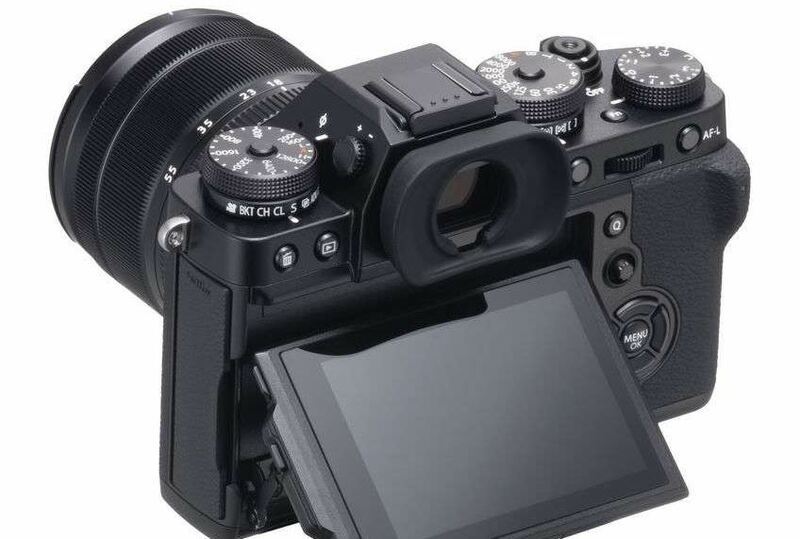 Boost Mode, which reduces black-out time and levels up focusing speed in addition to a significant increase in the EVF refresh rate, will reduce battery life by 25-percent, according to Fujifilm claims. As is always the case, you normally get much more out of the battery than the official rating, but you’ll definitely need a spare. The good news is, if you have any other X Series camera, you already have compatible batteries. The closest competitor to the X-T3 currently is the Sony A6500, which has one advantage: 5-axis stabilization. It appears Fujifilm reserves sensor-shift stabilization for just the X-H series and prefers to keep the X-T cameras more lightweight and compact. However, the X-T3’s higher-resolution viewfinder and more advanced video mode give it the edge. But there’s something annoying us: the eventual X-H2. When the X-T2 introduced, no one had any idea the X-H1 was coming; but now that we know that line exists, it’s just impossible to ignore it. Of course, the X-H2 is far from official, and can probably be over a year away, but if it performs better than the X-T3 as the X-H1 did over the X-T2, it might be worth waiting for. Keep in mind, though, its cost will likely be close to $2,000, so it’s not an alternative for everyone.